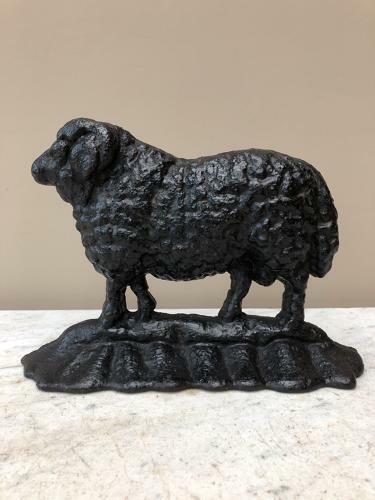 Victorian Cast Iron Door Stop in the shape of a male sheep or Ram. Great condition. Age related wear as expected. Heavy and does his job well.